– António Félix da Costa forced to retire. Alexander Sims (GBR) gave another impressive performance in round three of the ABB FIA Formula E Championship. Seventh place in the Santiago E-Prix (CHI) earned him valuable points in the Drivers’ Championship. 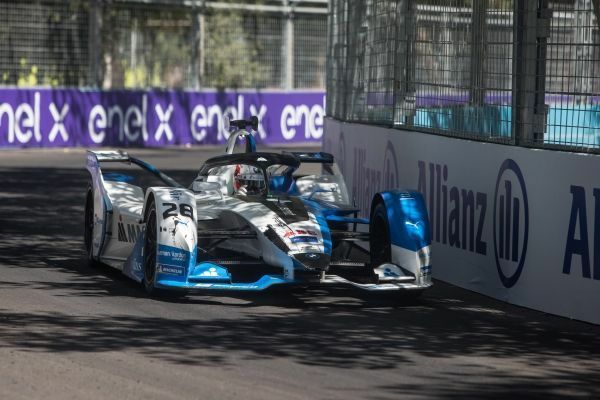 Sims actually crossed the finish line third in the #27 BMW iFE.18, however, was given a time penalty for a collision with Edoardo Mortara (SUI) which saw him relegated to seventh place in the final classification. António Félix da Costa (POR) did not finish. 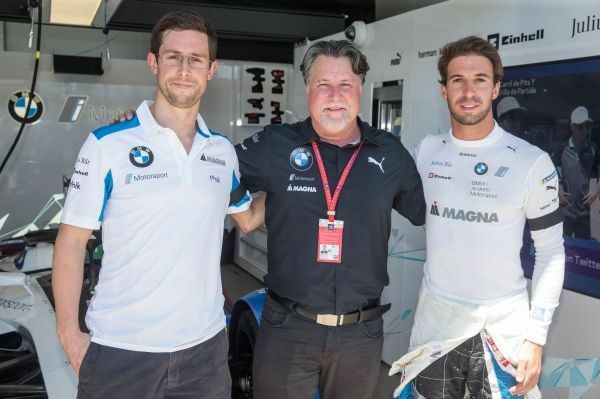 BMW i Andretti Motorsport Team wore black ribbons, in memory of Charly Lamm. 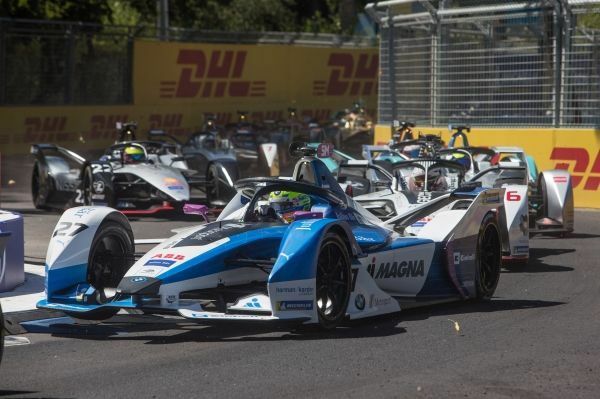 Sims started the third Formula E race of his career from eighth place and, in hot conditions, gradually worked his way through the field until he came across third-placed Mortara. During their battle for position Mortara spun, allowing Sims to pass him and take third place. He was subsequently given a time penalty for the incident. Like his fellow competitors, Félix da Costa struggled with a very slippery track in group one of qualifying. As a result, he started the race down in 17th place. He was involved in a collision with André Lotterer (GER) and Jean-Éric Vergne (FRA) in the packed midfield, during which his BMW iFE.18 suffered a puncture. Félix da Costa found himself at the back of the field with no hope of recovering after the pit stop, and subsequently returned the severely damaged car to the garage, bringing his race to a premature end. Victory in Santiago de Chile went to Sam Bird (GBR). “The track here in Santiago created some exciting racing; it was just disappointing we couldn’t finish on the podium. We knew that the key aspect was going to be getting a grip on the temperatures during all sessions. To be honest, it was a disappointing qualifying result with Alexander in eighth and António in 18th but the race is what counts and we got off to a good start. António unfortunately had contact with another car, resulting in a punctured tyre and a damaged car. “Firstly, thank you very much to the team, who did an outstanding job of helping me to manage the car during this very tough race. I think everything went superbly. Unfortunately, I then had the incident with Edoardo Mortara. “All the drivers in the first qualifying group had to start from the very back as the track was far slower at that point than it was for the later groups. Despite that, I was still optimistic about the race and was able to climb a few positions after a good start.